Looking for another easy one-pan dinner for your busy week? 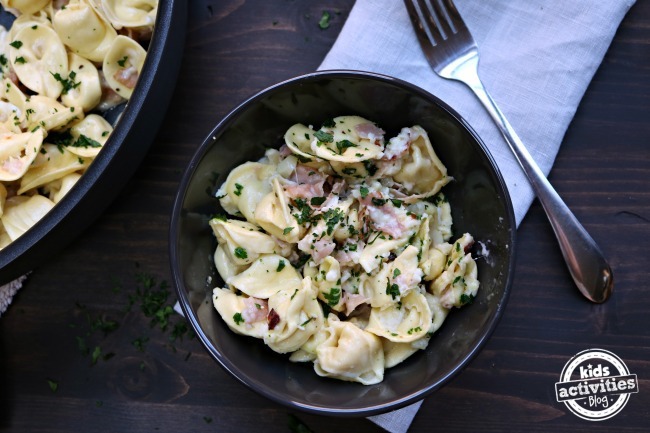 This Ham & Cheese Tortellini takes your tortellini dinner to a whole new level! And this dinner takes less than 20 minutes to prepare! 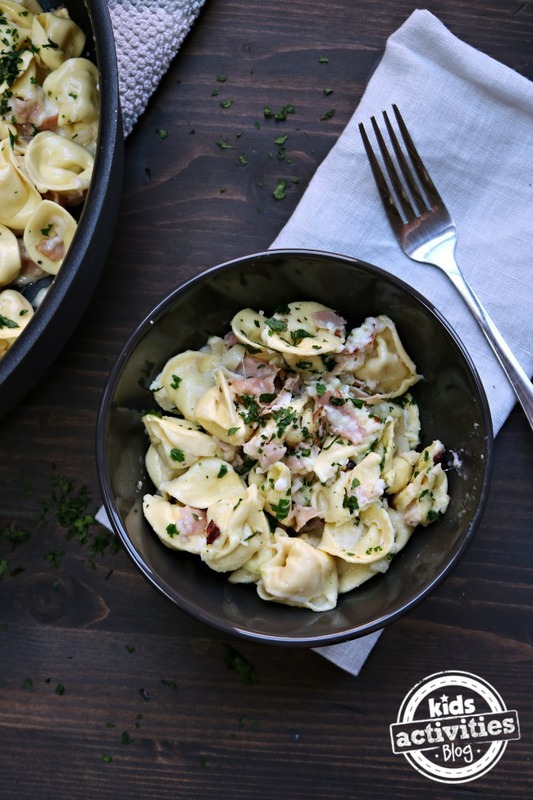 One thing I love about tortellini is that you can pick up several packages and freeze what you don’t use. That way you can grab a package out of the freezer in the morning and make this recipe in the evening. And did I mention how easy it is! If you want a veggie dish, you can add peas or broccoli instead of the ham. Either way, it’s extremely creamy and really delicious!